When the tax season comes, having good crypto tax software on your side has become more of a necessity than a choice, particularly if you have had a busy year. 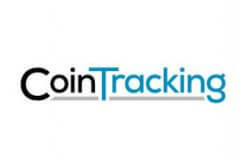 This CoinTracking VS MyBitPrices comparison can help you quickly find out which one of your top two choices is a more powerful tool that can hopefully turn preparing your taxes into a stress-free task. There are three major requirements crypto tax software has to meet in order to be considered both useful and reliable. First of all, the quality of service needs to be impeccable, with the software instantly generating a variety of accurate and usable reports, without any problematic limitations. Second, it has to provide maximum privacy and security. Third, it needs to provide a smooth and satisfying overall experience, thus facilitating the process of tax preparation. Shown below is the crypto tax software that obtained a higher total score on the aforementioned criteria.